This is a Guest Post by David R, and the first of a series about the need to improve the Western Victoria Quarter. After arriving back from a stint in Vancouver and Amsterdam, my partner and I decided we wanted some outdoor space and another bedroom. 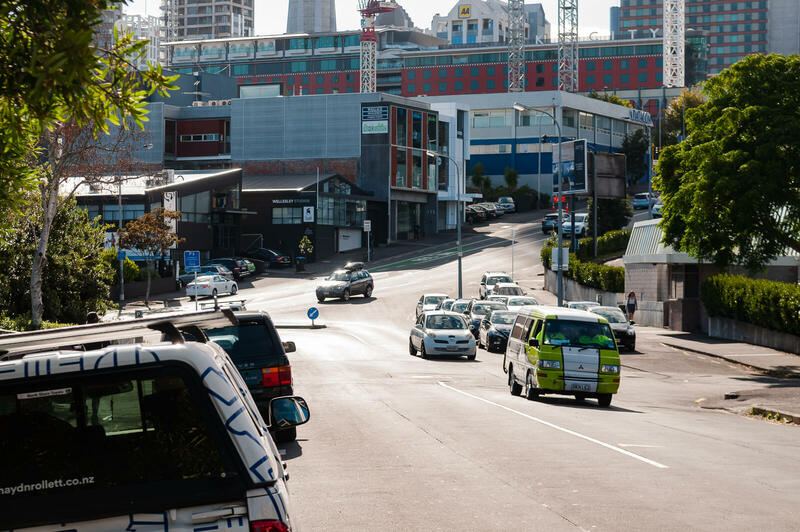 While our mobility needs are 100% met by walking, cycling and transit, a car park was also on the check-list to ensure that we made the most of Auckland and New Zealand. We couldn’t find anything that met our rather simple goals in the city and couldn’t stomach moving any further out (Mount Eden is the wops to me), so we started looking at new builds and narrowed it down to a handful of developments – one on Beach Road, one in Eden Terrace and one down the end of Sale Street, in what Auckland Council calls Victoria Quarter. I find Beach Road generally unpleasant, Eden Terrace lost out due to poor amenity and being at the top of a hill, kneecapped by the loss of its CRL station. Ultimately, we decided on the Victoria Quarter Development. There were a lot of reasons, but the Council’s goals for the area played a part in the decision. Since signing the paperwork mid last year, I’ve spent a lot of time in the area, mostly to watch the demolition and hole digging that have occurred on site so far. Unfortunately, like anything I look at for long enough, the problems started to mount. The area is not ‘fit for purpose’. So I threw together a document over a few nights and submitted it to the chair of the Waitematā Local Board and the Waitematā and Gulf Ward Councillor. That submission sought out to essentially say one thing: why is nothing happening to achieve the Council’s stated goals for the area? This will be the first in a series of posts based on that submission, with some expansions. All photos are my own, unless referenced. The oldest reference to Victoria Quarter that I can find is in the Auckland Council District Plan from 2005. It’s conceptual existence may go back much further, but I cannot find any reference to it on the Council search engines, nor Google. The ‘Nelson and Hobson street upgrade’ at least exists as a line item in various Auckland City Centre Advisory Board meeting minutes and on the Projects in the city centre page while the Victoria Street Linear Park has been well discussed in the past. I’m mostly interested in the western corner, between Victoria Park, Wellesley Street and Cook Street, which has no known plans in place. I am not qualified to describe the history of Auckland in any detail, but some interesting facts include that it’s one of the earliest places to be settled in Auckland, Drake Street used to be a small cliff overlooking Freemans Bay before reclamation was completed around 1901 (creating Victoria Park) and the Destructor (now Victoria Park Market), completed in 1905, converted garbage into electricity. Fascinating. But fear not – I will not be attempting to use nostalgia to convince you that this area has value because it is old – I’ve not seen any evidence that it was ever much more than a slum adjacent to various industrial areas and the city morgue. It even had the plague. There is a reason they built the motorway through it in the 60’s and as a result Victoria Quarter and the Harbour Bridge are inexorably intertwined, but we’ll talk about that later. Not a lot has fundamentally changed since the Harbour Bridge was built – just a gradual move from industrial to light industrial and finally to office space, hospitality and residential. Including some residential developments below, six of the nine sites on the Southern side of Sale Street were either recently rebuilt/renovated or are currently under construction. The much lauded Clooney secludes itself from the street, while revellers at The White Rabbit, La Zeppa, TomTom and The Oakroom contend with narrow footpaths of Drake Street. A handful of other cafés are present, though few have any possibility to interface with the street. Turko makes best use of its narrow footpath to provide some street activation. Victoria Park market is isolated from Victoria Park, College Hill and the surrounding Victoria Quarter. It is not expected that Victoria Street will be reduced in width for the foreseeable future. This, coupled with poor connections through to Sale Street, and anywhere else, results in the market being somewhat dead. 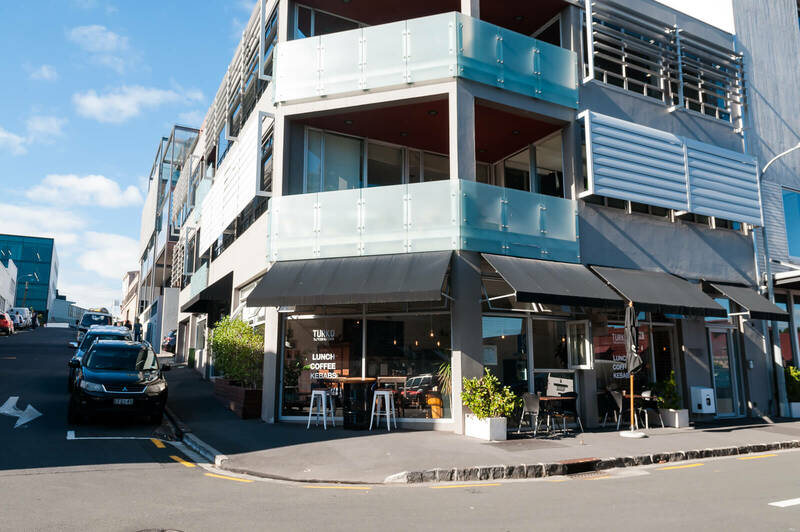 ”Auckland icon returns to its former glory,” proclaims the website, but while the place has certainly been transformed into a range of business, food and beverage and retail tenancies, the overall vibe is bleak and ghost-town like. “One of the cultural centres of Auckland, accessible to all, has been reduced to a shadow of its former self… it’s disappointing and more than a little sad…” says a recent Trip-Advisor review. Finally, a Swiss-Belsuites hotel has emerged atop the multistory carpark at the intersection of Drake, Victoria Wellesley and Vernon Streets. 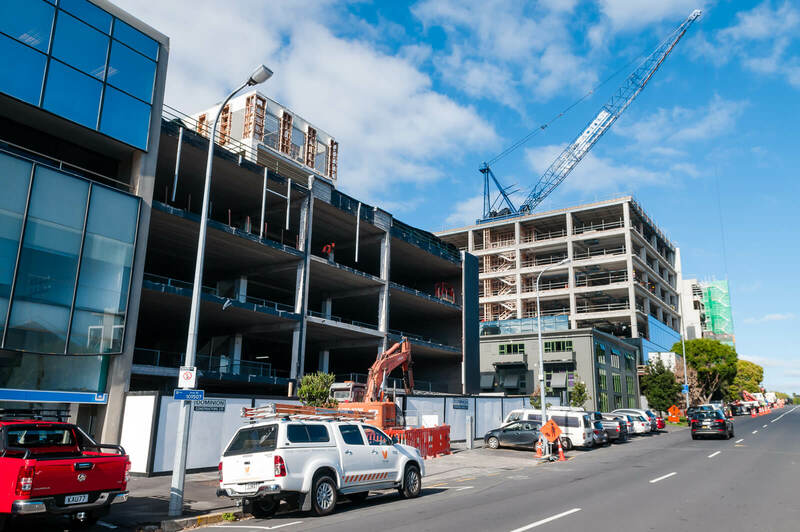 Excluding the existing residences within Victoria Quarter, on Nelson and Hobson Streets and surrounds, properties currently under development in the immediate vicinity comprise of more than 350 units, housing upwards of 600 people. The highest concentration existing residential is on Vernon Street, but there are units dotted throughout the area. Wellesley Street is currently and planned to be a major bus route into, across and out of the city, with the City Centre Future Access Study (CCFAS) stating a requirement for approximately 150 buses per hour along Wellesley Street in the 2021 Reference Case. Existing and imminent routes include every alternate Northern Express, western buses and the Outer Link. The now finalised and imminent Central Suburbs New Network implements a base of 52 buses per hour at peak. This is calculated by taking 60 minutes and dividing it by proposed service frequencies. Sale Street is around 600m away from the future Aotea Square CRL station, less than a 10 minute walk, so it’s clear that Victoria Quarter is an area that is very well served by transit, and that is only set to improve. Pedestrians and cyclists pass through Victoria Quarter to access Victoria Park, the grocery store at the foot of Franklin road, College Hill, Wynyard Quarter and the now-approved Sky Path. Vehicles passing through the roads making up western Victoria Quarter are doing so to bypass Victoria, Wellesley and Hobson Streets or access large, surface level parking facilities at the City Works Depot. Close proximity to the future NZICC will likely encourage both pedestrians and cars through the area. This list does not include the 750-900 parking spaces to be provided by the NZICC upon completion. It is expected that the provisions adopted for the Quarter will result in the following. An environment that encourages activities which enhance the vitality, vibrancy and interest of the Quarter while ensuring that their adverse effects are avoided or mitigated. A high quality environment exhibiting good urban design, residential amenity and quality open spaces. The retention and enhancement of existing scheduled heritage buildings, heritage features and character areas through the appropriate design of adjacent built form. A diverse and vibrant environment which complements the Central Area and which provides a good standard of amenity for building occupants. Comfortable, safe and attractive pedestrian accessibility throughout. Quality buildings that promote sustainable design, the distinctive identity and desirability of the Quarter as a location within the City. Adaptable built form which encourages the reuse of building space and activities at ground level. The maintenance and enhancement of the existing character of the area including public open spaces. Retention of the historic character of the Former City Destructor/Victoria Park Markets Site while enabling the redevelopment of the existing car park building in a complementary sustainable manner. The comprehensive and integrated development of the Former City Depot Site which provides a high level of internal and external amenity, quality public open space and which sits comfortably within the Quarter. Vision: The dynamic western CBD fringe providing a diverse alternative choice of intensive inner city urban living and working opportunities. Recognise and celebrate significant heritage features Note the former shore line, Iwi and heritage buildings/sites (Maori heritage sites, Victoria Park Markets, Freeman’s Hotel, Berlei factory, Empire Tavern). Victoria Quarter becomes a vibrant urban community, with housing catering for families seeking an inner-city lifestyle, as well as singles, couples and students. Some development will be mixed-use, providing work and living spaces under one roof. 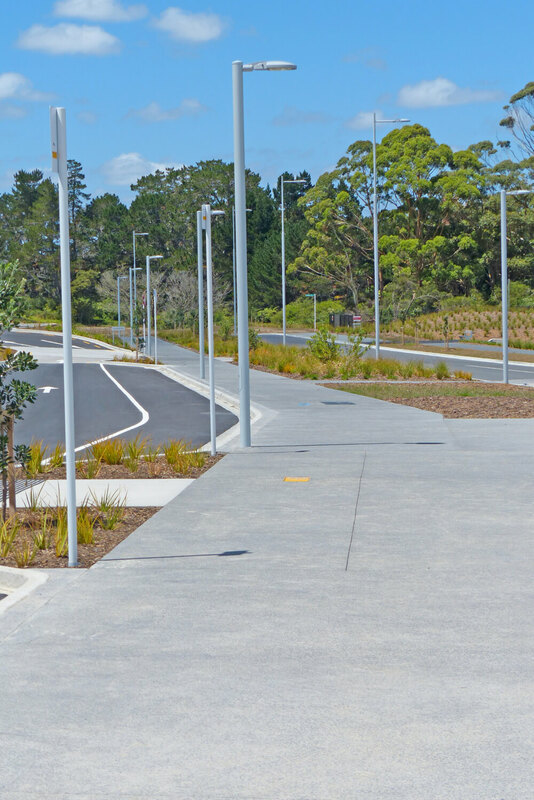 Significant investment in amenity of the area and its streets and spaces will be important, as will greater connections across the motorways to Freemans Bay and Freemans Bay School, which is set to double in size. Victoria Quarter should be an excellent example of a walkable, mixed use, medium density, brownfield development for all to see. The epitome of ‘up not out’. This and the aforementioned Council goals matter because Auckland and New Zealand need to be convinced that this sort of housing is not only acceptable, but preferable. The economic and environmental costs of suburban sprawl will never be addressed otherwise, and, like encouraging transit use, you need to present a workable alternative if you want change. The challenge for Auckland is to separate the link between GHG emissions and development, economic growth, and energy use. This will require a transformation from a fossil fuel-dependent, high energy-using, high-waste society to an ‘eco- or liveable city’. A liveable city is typified by sustainable resource use, a quality compact form, an eco-economy, and transport and energy systems that are efficient, maximise renewable resources and minimise reliance on fossil-based transport fuels. At present there is a limited but growing market for intensified housing. 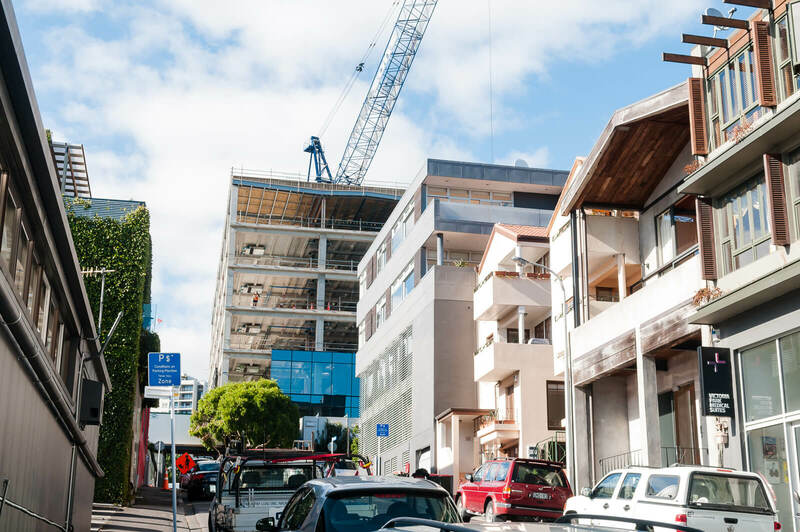 The reasons for this include the traditional New Zealand preference for detached homes, expectations of the size of housing that far exceed incomes, and examples of poorly designed apartments, especially in the CBD. Who cares if you can reduce your dependence on your car if it’s too awkward and dangerous for you or your children to walk anywhere? The area is currently rife with unnecessarily wide, unsafe streets and dangerous intersections, with car parking squeezed in everywhere possible at the cost of pedestrian amenity. 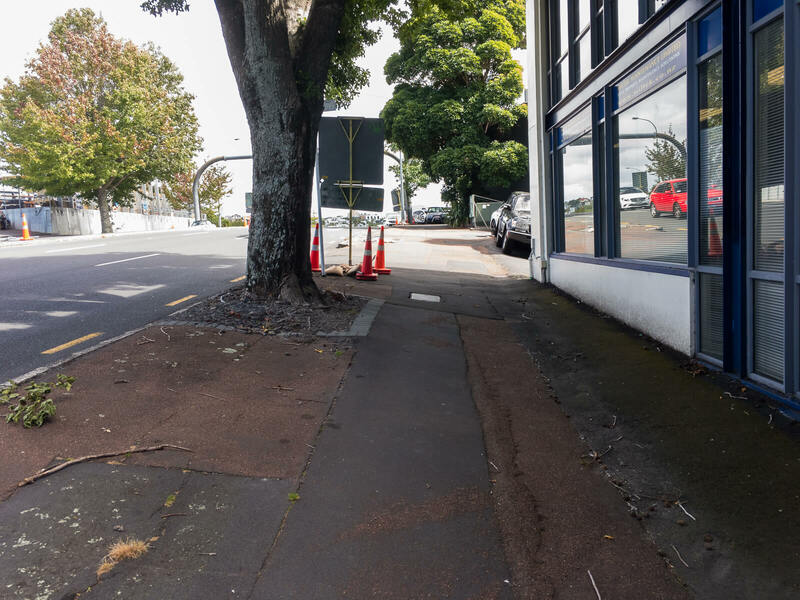 Uneven, inappropriate and inaccessible footpaths are reduced to almost nothing to allow for further car parking and are almost always blocked by street furniture, garbage/recycling bins and parked cars. We have clearly define goals for the area, but unlike for the new-build suburbs, no ‘pre-work’ is being done to prepare the area or address the many failings for current or future residents. This is despite the fact that the area is already well connected by transit and well populated with office workers, residents and hospitality guests. The area is undergoing strong development and growth, with at least 500 new residents and hundreds of office workers expected within the next 2 years. I will set out to describe the major obstacles to the vision for Victoria Quarter in the hope of progressing the discussion around the amenity provided to residents of greenfield vs. brownfield developments and that of getting the Council to begin creating (and publishing) real commitments to their ‘vision’ documents. NZTA, Auckland Transport and Auckland Council already have the to tools to fix these issues, so I will avoid being overly prescriptive. I am not interested in a gold-plated, Wynyard Quarter style, ground-up redevelopment – just a plan to address the major shortcomings. Can’t help but agree. The council supposedly want density but they aren’t doing anything to encourage it. Meanwhile they are spending a fortune on sprawl. Great work and so much that could be done. In this quarter there’s really no interest from ‘transport’ bodies except in that which relates to prioritising vehicles come what may. And a growing gap between all the high level guiding documents for the city centre, the aspirational claims, the inspirational guest speakers – and what is (not) happening on the ground. This is such a good report. I’m glad you’ve posted it here and look forward to the next instalments. It’s 12 years since the 2005 Auckland District Plan. Yet those goals don’t look like they’ve even been attempted. Why? What got in the way? What was the Council or AT internal haemorrhage that stopped progress? I think the layers need to be pared back and some transparency provided so we can see why other projects have been prioritised. This is an area where the lack of amenity for pedestrians is dangerous for children and people with limited mobility, so bad it’s commented on by tourists, and is incredibly frustrating and time-wasting. Who’s actually funding those fancy streetscapes out there? I’m quite sure the council is collecting a lot more rates money per metre of street frontage in the CBD than out there. 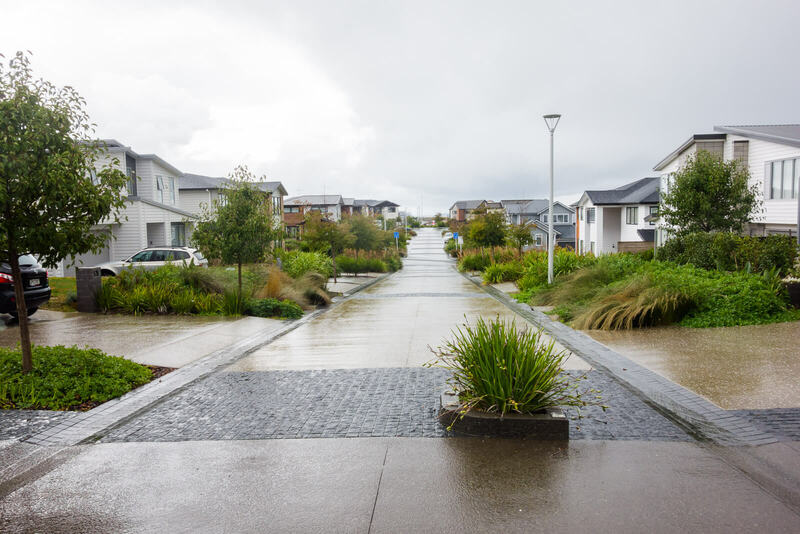 The developers are funding the new streetscapes in Hobsonville and Long Bay. It’s actualy cheaper for them to design high amenity, low vehicle speed roads too. Well yes, and they’re not being told by that they have to provide vehicle flow for induced traffic from elsewhere. They’re just designing the source of some of the induced traffic. Great post, had read it from David R blog site directly somehow a few weeks back, very interesting with the history etc. I am sure they always tell the truth. Provided to meet the needs of the early 20th century city, maybe. But mfwic, you know we must keep rates low. At all costs. We always have, and that’s the way we do it. More to the point, it’s been the entire city that’s been voting for low rates and hence voting to not maintain the infrastructure. Not just the CBD. The core problem highlighted by David’s post isn’t infrastructure unmaintained by council. The real problem is that the location of the worst symptoms of a cars-first roads-only transport network is the cbd, the intersection of all the roads. This isn’t an isolated problem – city centres have been ruined by sprawl in many cities. This is infrastructure poorly chosen. Excellent, and this will be achieved by … ta da! 2032. Super! Sale street residences and Masons commercial building are 99% complete and are attractive looking buildings. See all that driveway? This isn’t pedestrian-friendly design. This is still pandering to the car. AC has no clear vision or strategy and is impotent dealing with AT. AT’s strategy is mostly about status quo enabling cars to move around better. Lots of hot air from both organisations. Great post. I look forward to seeing your ideas. Thank you for your thoughts on an interesting topic. Isn’t AT a CCO? In which case they are required to give effect to the Council’s requirements. If the case is clear which it seems to be from the 2012 plan then the implementation should be a requirement. Is that the way it works? That’s the problem – there is no plan. I wrote the four parts and then submitted to and spoke with the local board member who got me a meeting with the planner in charge of the CCMP. He admitted that there is no plan for the area at all. Council vision document are nothing more than a pile of paper without execution. There are also many beautiful different planning documentation in different parts of Auckland. However after decades there are still not much being done. I note that Les Mills up the road are building a new car park. It’s always fascinating that people mostly choose to drive to their gym, but its also surprising that with 52 buses per hour passing the gym’s doorstep and with potentially a huge walk up clientele from local high rise that this is necessary.